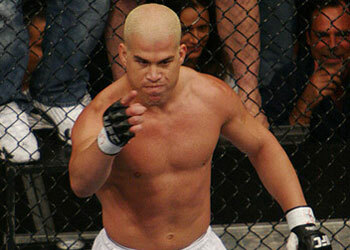 Ortiz Continues to Tease – Although Strikeforce has emerged as the leader to acquire Tito Ortiz’ services, the controversial fighter remains unemployed. With the clock quickly counting down to his inevitable bout against Father Time, the “The Huntington Beach Bad Boy” needs to decide now. Since his contract expired after his UFC 84 loss to Lyoto Machida last May, Ortiz has been one of the most sought after free agents in MMA. He has teetered-and-tawtered, but it appears that he has finally decided on a new home. Although “The Huntington Beach Bad Boy” called out Strikeforce’s 205-pound champ, he isn’t looking to take on Renato “Babalu” Sobral right out the box. In vintage Tito Ortiz fashion, nothing has been signed, but the hype is certainly there. The good news this time around is that Ortiz is already interviewing. Although the 34-year-old remains one of the sports most imposing figures, it should be noted that he has gone 0-2-1 over his last three contests. And it could be argued that he hasn’t won a “big” fight since he took a split decision from Forrest Griffin at UFC 59 in April of 2006. “I want to get back in the cage and fight,” Ortiz stated. We’ll just have to see how much fight he has left in him.